This week for Sunday Supper we are baking pies. 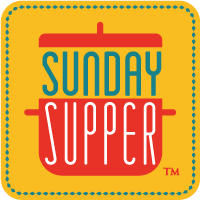 Whether your favorites are savory pies of any sort, such as Cornish Pasties, Shepherd’s Pie, Quiche, or Pot Pie, or something sweet for after dinner, this week’s offerings should have something for you with about 60+ entries from Sunday Supper TasteMakers in the event. I decided to do Cornish Pasties, foremost because I have never made them before, and always take that as a challenge, and because I generally adore meat pies in general, including the Canadian Tourtiere, which is one of my favorites. Plus, I have enjoyed meat pies since I was a kid, with little frozen pot pies being offered in the sixties as an alternative to the space-age tv dinner. But of course I enjoy making other pies, such as quiche in many forms, or vegetable strudel, or shepherd’s pie, or lots and lots of fruit pies for dessert, although my family also adores cream pies like banana and coconut, and the usual Thanksgiving fare of pumpkin pie, mincemeat pie or pecan pie with a splash of bourbon. Small pies, in fact might be my favorites, as I like eating things out of hand. It must stem from a childhood love of Pop-Tarts. I could pop one in the toaster and eat it on the way to school, considering I used to be a habitual late-riser. And these pies certainly do fill the hand pies theme, being like a British stew in a ready to carry Hot Pocket. I added the demi-glace and sauce of my own accord (I don’t think it’s traditional) but I like lots of flavor. The rutabaga is what is known in Britain as turnips (or Swedes), although it is not the same as the usual turnip. You could easily go with all potato if you wished, but use waxy potatoes so they hold their shape better when baked. I serve these with a bit of HP sauce on the side (it’s like a British version of A-1 sauce) and if you want to do that, curl up in your easy chair with a pastie or two, a cold English Ale (such as Fuller’s ESB) and watch Johnny Depp and Helena Bonham Carter show you the darker intricacies of pie-making, please do. I’ll be right there with you. Rub butter and shortening into flour until it resembles coarse crumbs. Add the water and knead until the mixture becomes elastic, using a dough hook on an electric mixer if you so choose. Wrap the dough ball in plastic wrap and refrigerate for three hours or more to relax the dough. When the dough has chilled and relaxed, preheat oven to 350ºF. Chop rutabaga, potatoes, onion and steak into a small dice (maybe 1/4″) and stir together in a mixing bowl (all ingredients raw) and stir in salt, black pepper, demi-glace or beef base, and the steak sauce. Roll out dough into circles 7-8 inches across (I used a small bread plate and cut around it with a dull knife). Mix beaten egg in a small bowl with a tablespoon of water. Place half cup of the filling mixture onto dough, brush the edge on one side with beaten egg and fold top over into a half moon shape. Curl the bottom edge of dough over the top and securely crimp edges. Finish by dabbing more egg wash onto the edge (but not the top). Cut 2-3 tiny vent holes into the top of the dough with a small sharp knife. Place pies onto a nonstick sprayed, foil lined baking sheet (I used two sheets) and bake in the oven for about an hour, switching positions of baking pans thirty minutes through (turning them around as well) and spraying lightly with butter spray the last 15 minutes of baking to help them brown. They are done when they are nicely browned. Serve with steak sauce (HP/British, A-1/American). Pies: Dinner or dessert? It’s up to you. You’re making me homesick with these Sue! They look great. Sue, I LOVE that you tackled a challenge for our pie event. These look fabulous by the way! I love small hand-size pies too! These are the perfect thing to have on hand for a simple weekday meal. It’s just the two of us and freezing them to pull them out whenever is a good idea! They heat marvelously in the toaster oven. And very economical once the price for all these meals is figured. No wonder they are so popular! I never knew what was in actually 8in Cornish pasties—I have a feeling even my picky hubby would love them!!! I think he would- they are sort of like the flavor of stew, or maybe something like a tourtiere with beef and less spice. Definitely pub food! English pies are the best! I so miss hanging out in London. This brings back such memories. I’ve never been to London, but would enjoy these with a cold pint of Fuller’s ESB, and maybe a friend or three I have met online that live over there! I want to try to make these sometime! I’ve seen them at the market, but never had one. I hope you like them! Really not very hard to make. Oooh, I like that your dough uses bread flour! I have an unopened bag that I’ve been trying to figure out what to do with before we move at the end of the month! Hi Sue, oh I love c ornish pasties, there is a restaurant near where my son lives that specializes in them. Yours look delicious! Thanks so much! They are really fairly easy to make so now you can have your own!